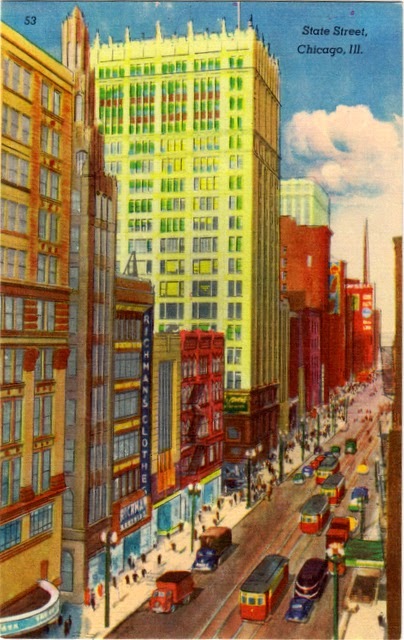 Postfcard US-3133042 to Russia was a linen vintage postcard with a view of State Street, Chicago, Illinois in the 1940s. State Street became a shopping destination during the 1900s. It was mentioned in the song "Chicago," made famous by Frank Sinatra where Frank sung "On State Street that great street, I'd just like to say: They do things that they never do on Broadway.They have the time, the time of their life." State Street is the location of many landmarks buildings.